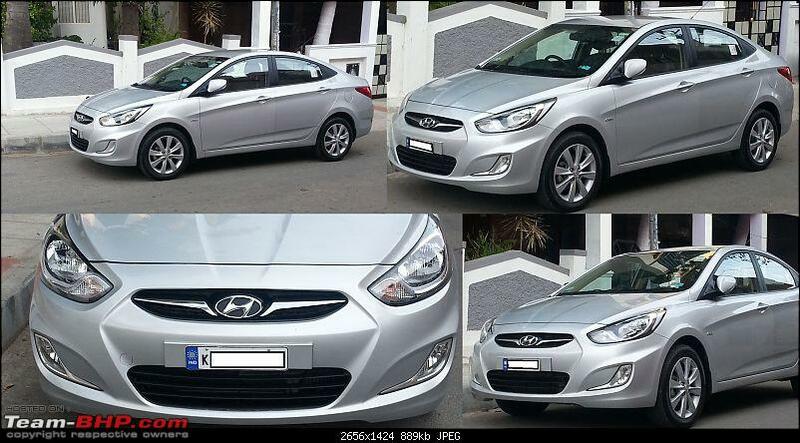 Dealer: Advaith Hyundai ( Bannerghatta Road) Bangalore. On-Road price: 12.10 Lakhs in Bangalore at the time of buying. Purchase Mode: cash + Loan from HDFC bank. 5: Outstanding, above and beyond exceeding all expectations. To start with i was really confused with the multitude of choices and didn't know what car to buy. All I knew well was to go for a diesel version given the fact that petrol prices were shooting up very frequently. This was pretty much the same time when the new Maruti Suzuki swift was launched. I was attracted by their promotions and Ad’s. So i decided to gift myself something that will live with me for the rest of my life. Just Within a week of its launch here in Bangalore, i went to the Sagar automobile showroom on Banerghatta road and took a test drive of all new Maruti Suzuki swift. the car looked very promising on all fronts and after the test drive i must admit that i was completely satisfied with the new upgraded looks and features and booked the top end diesel swift (ZDI) right there as it was well within my budget. I was told that it would almost take about 6 months for the delivery. That wasn't an issue at all with me and came home extremely happy as it enabled me to make more down payment. Well after a few months passed, about 3 to be precise, the dealer called me and told that due to some internal union conflicts at the Maruti Suzuki plant, the workers were on strike and the diesel engine car manufacturing process had halted and that would further delay the delivery of the car. This is when I lost my patience and decided to cancel the booking and try out other cars. I test drove VW polo and felt it lacked what i was looking for (powerful engine, design and features). Same was the case with Vento. Having seen the VW Vento I didn’t even bother to go and check Skoda rapid as it was Vento’s cousin. The Vento had 1.5L engine, very less features and looked like a plain vanilla ice-cream. I also felt it was overpriced for what they were offering as a whole package. It’s only now that these brands have improved and have become comparable with Verna. Fiat Punto and Linea too didn’t quite impress me either. I also didn't have any good impression about their after sales and service because of their tie up with TATA. Honda didn't have a diesel edition back then. The last car that came into my mind was Nissan Sunny diesel. I personally went and checked the sunny diesel but honestly was not satisfied with build, quality, power, design and features. I was looking out for a car and not an out of proportion and badly shaped truck. So this was instantly sidelined and ruled out. I was frustrated and disappointed at that point. I Went and cancelled the booking of new swift and was back to square one. As i walked out of the Sagar auto-mobiles showroom on Bannerghatta road Bangalore, I just walked in to Advaith Hyundai showroom which is located just 500 meters away and decided to give it a try. My first choice was a car similar to swift. A similar one from Hyundai was i20.The i20 however was almost 2 years older to the new swift and as I stood there thinking what to do something else there caught my attention. Yes it was the Fluidic. I saw the shining purple Verna there and could not take my eyes off it. 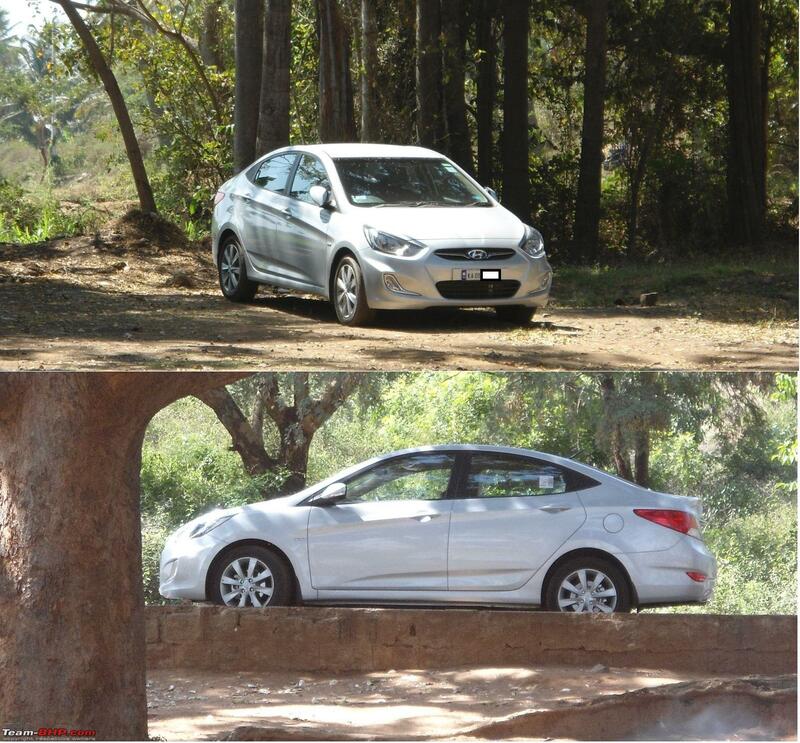 The only thing that was visible there for me was the Verna and nothing else mattered much. The car kept me anchored and pacified all the raging thoughts. I asked for a test drive and they were very co-operative and arranged for it within minutes as they had many variants lined up outside the showroom. They also let me drive to my hearts satisfaction and do all speed and braking tests. 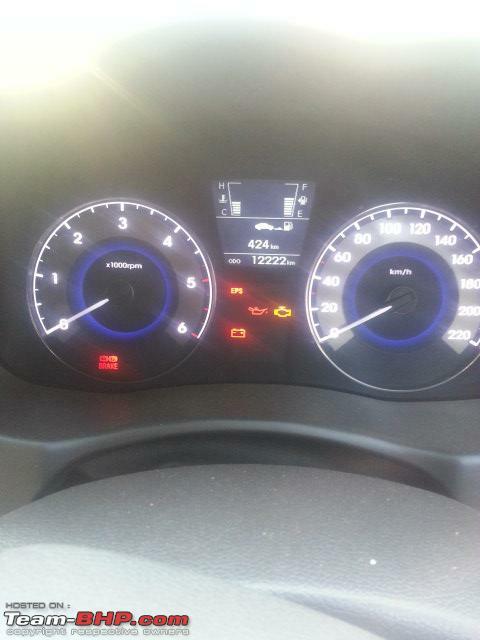 The one i test drove was the top-end fully loaded diesel Verna fluidic. (SX (o)).I was completely blown away. Every aspect of the car had something new to offer. This convinced me beyond any doubt that my search had come to an end. I had found what i was looking for. I was out of the hatch-back mentality and decided to go for this even though it exceeded my budget. The thought of owning this itself knocked off all the fighting thoughts and since then i haven’t looked back. I finally made the booking for SX diesel variant which is one notch below the top end. 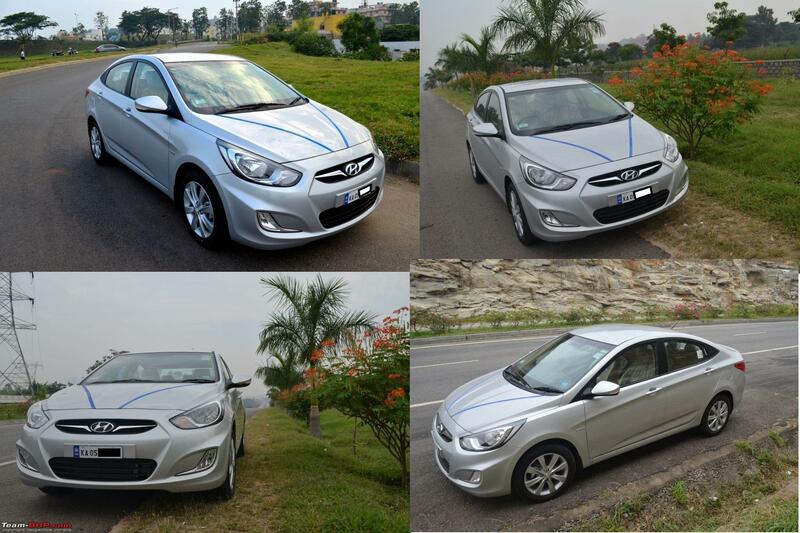 I was obsessed to a point where every car that i saw on road was a Verna. Was i seeing only what i wanted to see? Who knows, I had developed a deep connection towards it. The waiting time was 6 months and i was OK with it. Color color which color ? My personal preference for the car colors were only sleek silver and crystal white because the other colors initially look shiny but gradually fade and look dull over a period of time. The silver or white gives a premium segment feel to the car. Also mild scratches on the top layer paint will not be visible on white and silver unless closely examined, whereas on other colors it becomes very prominent. All it takes is a good wash and polish to make it look all new again. The sales people notified me around the 5th month and told me that the vehicle would arrive within a week and asked me to finish the paper work. I did all that i was told and was now ready to take the delivery. Everything went hassle free. Exactly after a week, i called them up and told that I wanted to inspect it myself before the allotment. Unfortunately the car was not in the showroom but was at the stockyard. The sales consultant co-operated and gave me the vehicle chassis number, engine number and the VIN and asked me to check and confirm it for allotment. I headed straight to the stock yard to check and make sure there were no damages on it during its journey from the Hyundai plant. Fortunately the car had just arrived and was still in the transportation truck. I asked if I could myself take the baby out of the truck's belly. They agreed and co-operated. In-fact the people there told me that i was the first one to ask this and were very happy and allowed me to bring it down the ramp. So the PDI was done even before the official one. Everything was intact and there were no scratches or anything like that. I clicked some pictures there of my new shiny silver baby and confirmed it for allotment. This happened on a Friday and they told me that it was very difficult for them to get it registered and deliver it on a Saturday. They also checked with me to see if i wanted some kind of fancy number. But i was reluctant to take it because of the cost and told them to just give me whatever the RTO gives. The registration was finally done. Got a good 3 digit number without having to pay any extra bucks. Finally i took the delivery during the mid of the next week as it was very auspicious. There were neither any corporate discounts nor other goodies from Advaith Hyundai showroom but they had some expensive stuff to offer. 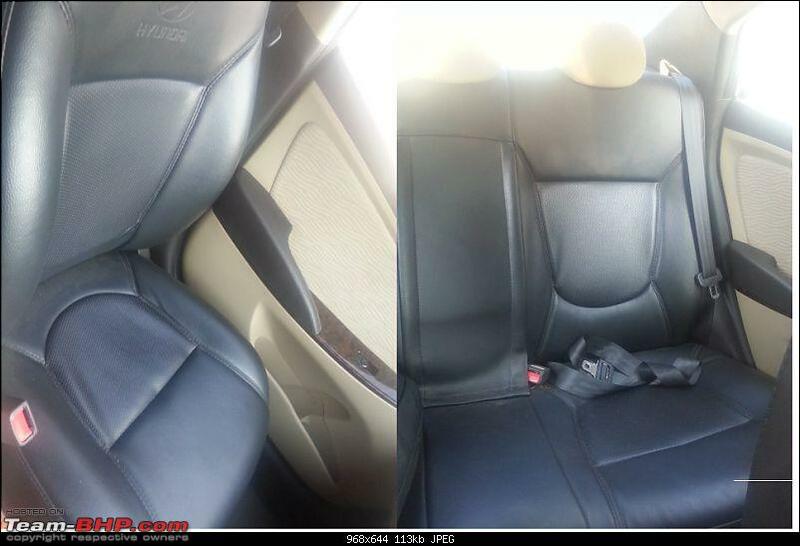 I was offered leather upholstery as an option for SX variant, which is actually not a part of standard fitment but the Advaith Hyundai showroom have a tie up with Stanley and get it done by them after the car allotment and before the delivery. 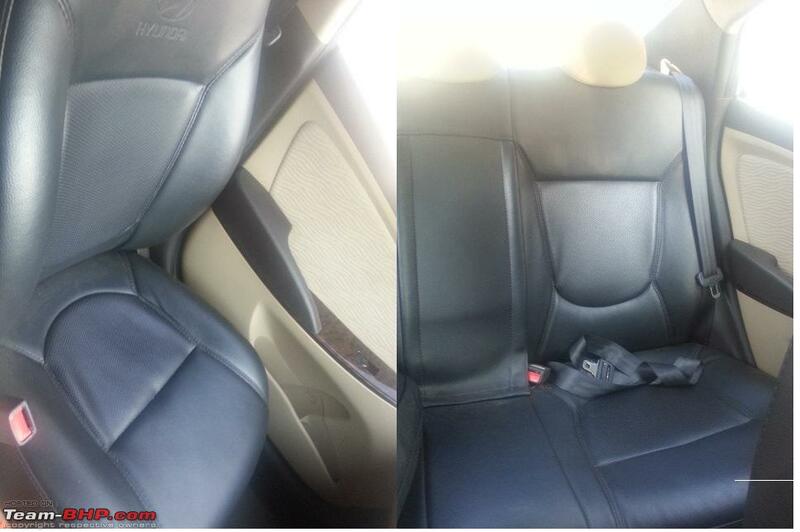 That was too costly as Stanley is the best available brand for leather interiors. They also showed me a car on which this was done with a premium Stanley badge on it. Though it looked superb and tempting I decided not to go for this as they do it outside for a cheaper rate but of course one has to compromise on quality and brand. Believe me or not, the Stanley upholstery looked better than the one that the top end variant had built-in. The Stanley leather upholstery costs anywhere between 30k-80k depending on the material that we choose and of course mostly for the brand. The material is highly processed and beautifully stitched to match the interiors. They even do it on the door pads and center arm rest and steering wheel. Below are some of the pictures of Stanley interiors. They however coaxed me to buy the country coded metal number plates. (IND)It looked extremely stylish on the car. They are also very thick and don’t easily break like the fiber ones. I had to spend about extra 1200 bucks on that but it was ok after having paid in lakhs, a 1000 bucks more didn't really matter much. so i agreed to it. 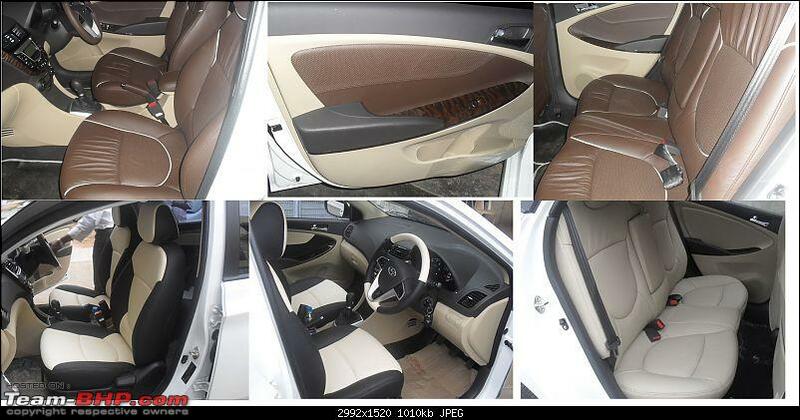 The car had premium fabric beige interiors. Most of them would live with the beige interiors to preserve the original looks. But to me it looked a bit odd because of the color of my car (silver).The beige looks great on black, grey and purple but definitely not on white and silver.so i decided to go in for a cheaper leather and got the entire interior seats covers done in black, leaving the door pads the center driver and rear armrests with default beige. Now i have all black perforated seat covers which has added a sporty look. I got the Teflon and underbody coating done at the showroom as they have a tie up with 3M.It costed 3.5k for Teflon and 2.8k for under body coating to prevent it from rusting.I would suggest body waxing instead of Teflon coating which is comparatively cheaper and more than sufficient. In both these processes they apply some kind of paste on the body and buffer it with a polishing machine. The availability of spare parts and service is good. The maintenance costs varies anywhere between 5k to 7k depending on the wear and tear. was badly damaged in an accident and i had to get some things replaced and some painting done. The job was well done and they brought it back to its original shape. The re-spraying work was also professionally done in body workshop and i guess since the color of my car is silver, it was easy for them to match with original shade. Everything was covered under comprehensive bumper to bumper insurance. I lost the NCB but the job was well done by Advaith Hyundai service station at mission road. Full marks to them. To me, it looked like it had come straight out of the gym after a power packed workout, boasting off the 6 pack abs and flaunting its prominent cuts and creases all over the body ready to walk down the ramp. With more muscles it definitely looked manly. I feel compared to this all other cars have become aesthetically challenged or retarded and stagnant in terms of their overall evolution. The car looks very futuristic from inside out and feels generations ahead with a complete end to end transformation from conventional looks. The pictures below do all talking more than my description. 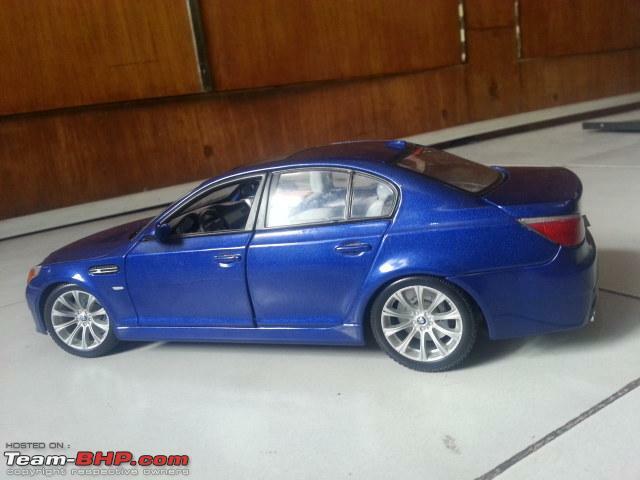 The car i guess was designed on the lines of the older BMW M5 if i am not wrong. 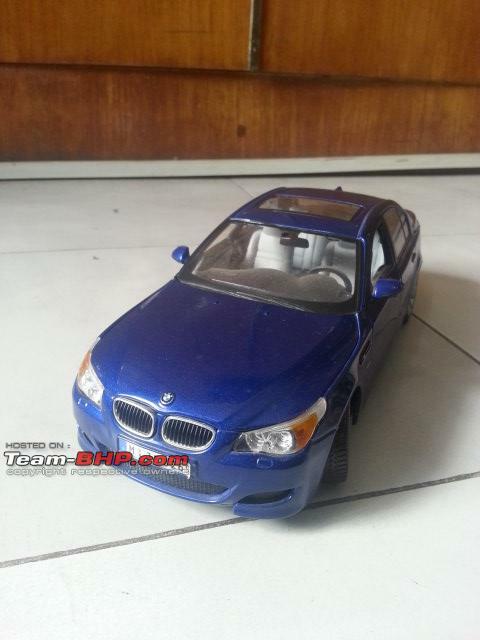 I have a BMW M5 miniature model at home and Verna has a striking resemblance to that. Apart from the badges that it has, the swooping roof lines "coupe like”, the rear, the front and side profile design makes it look almost like a mini sports Bimmer. 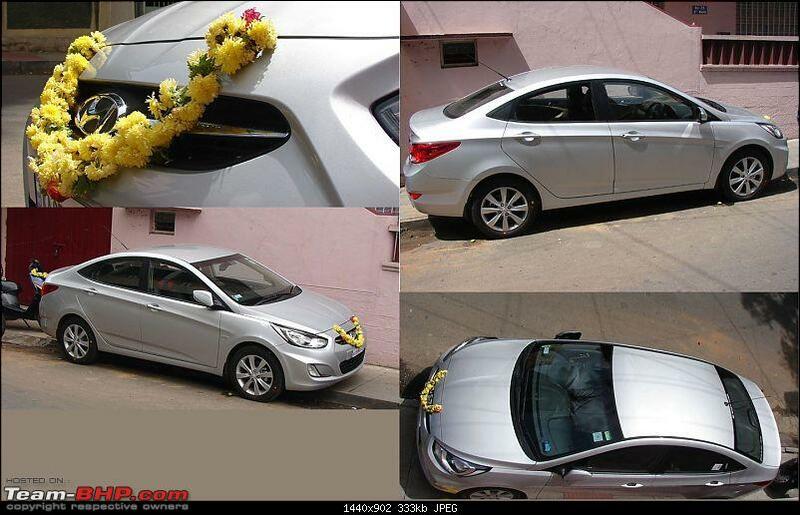 Fluidic Verna has shaken and woken up the old fashioned Indian car market and has pulled the curtains down for some. This has completely redefined the definition of modern cars and stolen the show from the land of Marutis and Ambassadors. Especially on road, beside Verna, the other Indian cars seem pretty ancient to me except the newly launched Honda city which is trying to catch up with it. Watch out Honda, Verna is a "Game Changer”. Don Ko Pakadna Mushkil Hi Nahi, Namumkin Hai!! What i mean to say is, Fluidic Verna is analogous to DON (SHAH RUKH KHAN).2014 Verna is DON 2. The best of Verna is yet to come. Wait and watch, you never know what’s in store for the car industry. 1.6L powerful turbo charged CRDI diesel engine WITH 128ps mated to a six speed gear box. What more can you ask for? The car has excellent pick up. The turbo kicks in around 1500- 2000 rpm range and gives the initial boost and thrust to go past any Indian car without any hassles. The car feels hungry for acceleration and delivers when needed without showing any signs of fatigue. This becomes very evident on highways and on straight stretches. The powerful engine pulls the car uphill (hilly regions) effortlessly and manages things quite well on all fronts without any struggles. The blue glow on the dash and back lit blue illumination feels very pleasant for the occupants.The interior beige is also very peaceful and pleasant for the mind. The disc brakes are very powerful and the presence of them even on rear wheels assists and adds to the overall braking efficiency. (ABS with EBD (Electronic Brake Distribution) brings the whole vehicle to a halt quickly with excellent brake response times. The ABS comes into play under panic braking situations and can be clearly felt, in fact heard by the cracking noise it makes when it’s activated. 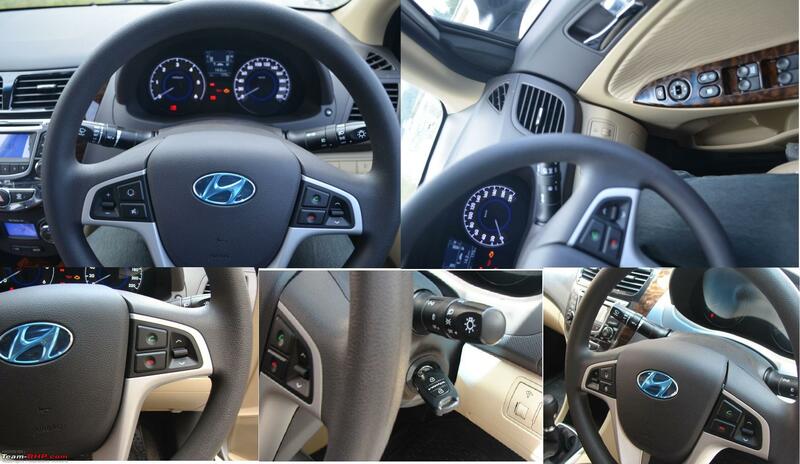 The steering wheel feels light and responsive. (EPS - Electronic power steering).it’s very agile in city and quite precise on highways. The curves can easily be manoeuvred with 100 plus km/h. even with slight body roll. The audio system and phone controls are mounted on the steering wheel for easy access and helps to stay focused during drives. The Bluetooth integrates very well with phone and there is a microphone placed just above the driver’s head that provides hands free talk and drive experience. The car comes fitted with sturdy and impressive 16-inch alloys rims with 195/55 R16 Bridgestone tubeless tires with speed rating of 200+ km/h. The spare wheel too is an alloy with the same specifications. They are wide enough to keep the car grounded at high speeds and make the high speed cornering and manoeuvrability easy. The AC is very powerful and comes with a built in bio-ionizer which keeps the impurities at bay and circulates clean air inside the cabin. 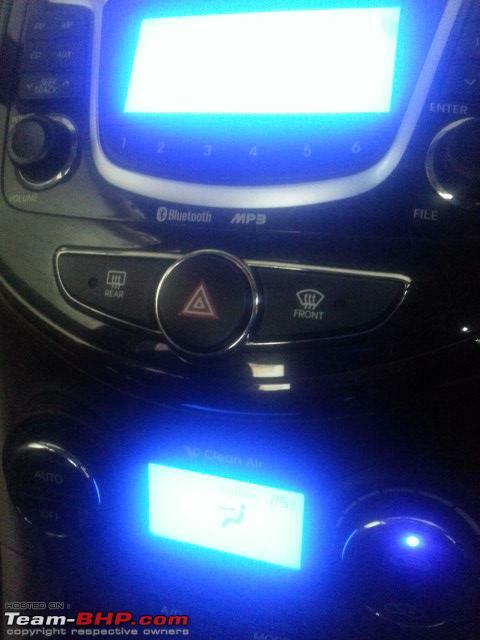 The Audio system is Kenwood i feel but there is no badge that says so and has 6 speakers out of which two are tweeters. There is also provision for plugging in iPods and USB's and playing CD’s. The acoustics inside the car is excellent when connected to USB or iPod. The FM reception is good inside city, but while driving outskirts the clarity drops with speakers just blurting out static clatter. The music system comes with a remote control and is handy for rear passengers. The cabin with all windows rolled up keeps the passengers completely isolated from what’s happening outside. 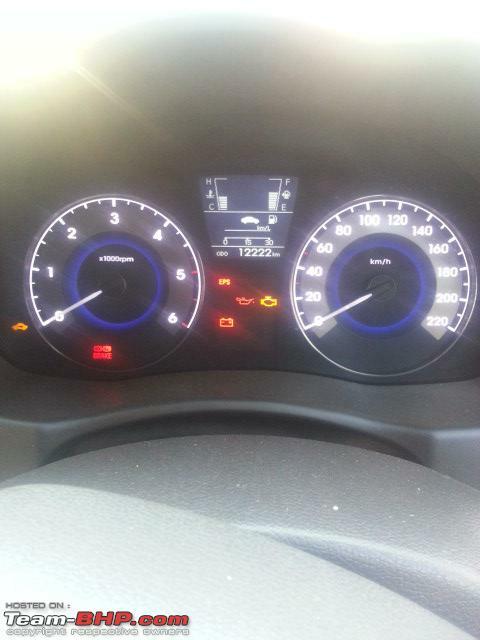 However with the windows rolled down, the engine murmur noise at low rpm's and when kept idling can be clearly heard. The tire noise also is quite audible at high speeds on highways. The car has butter smooth, well-tuned 6 speed gear box. The gear ratios are very well spaced out and make the turbo-lag hardly noticeable. The reverse gear is a bit tricky for newbies and takes a bit of time to get used to. The reverse gear activates the rear view camera and pops up a display in the rear view mirror. There is no explicit cruise button in the car but the presence of sixth gear seems to have made up to that. It’s located beneath the rear chrome strip and above the number plate and gets activated in reverse gear and pops up a display in the rear view mirror with three color coded gird lines. GREEN indicates safe distance, YELLOW indicates that you are getting close to obstacles behind and RED indicates that you will hit. This is very useful while parking as nothing behind can be seen from inside the car. It also beeps when objects and obstacles behind gets too close and alerts the driver. The rear view mirror cuts reflective glare of tailing vehicle headlights that fall on the mirror during night driving and minimizes the strain on the eyes and improves the night driving experience. The sensor on the mirror automatically adjusts the dimness based on the intensity of the light that falls on it and ensures better visibility. High quality and well textured posh looking plastics. Adjustable driver arm rest with storage space. Height adjustable rear head rests. Foldable Rear Armrest with storage space. Pleasant interiors with blue illuminated consoles. Supervision cluster with a dimmer knob. 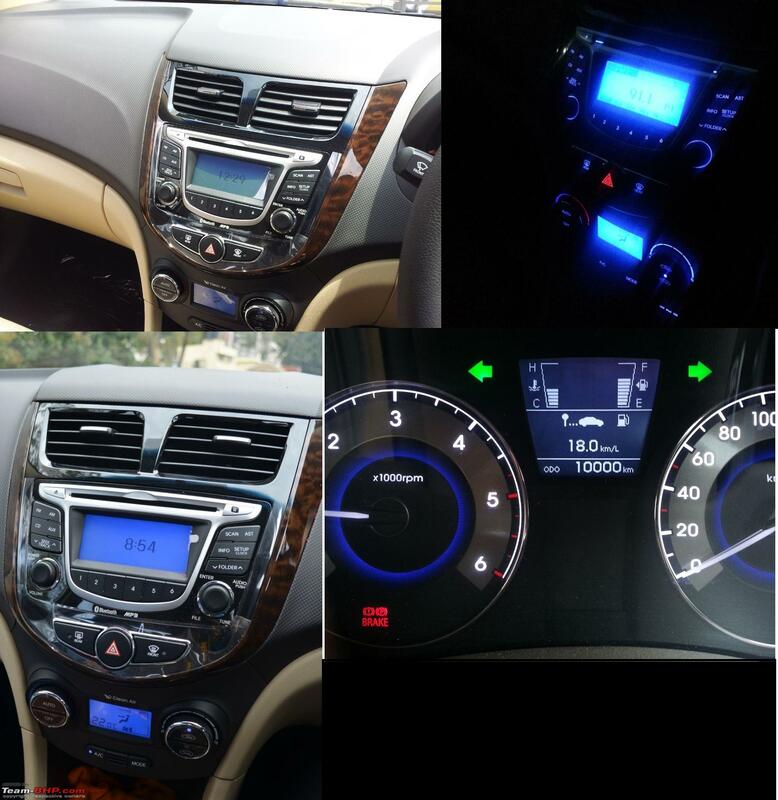 (The brightness of the dash board backlighting can be varied to suit your needs). 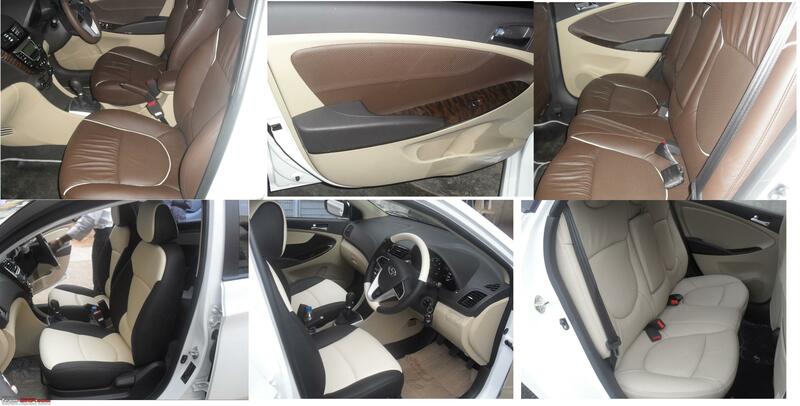 The wood finishing on the center console and on arm rests on the door panels adds elegance and gives an upmarket, premium segment feel. The window controls on the driver side curves nicely up unlike on most vehicles which is straight or angles down. The floor mats are also of very good quality with the Verna name embossed on them in blue color. Dual Chrome Exhaust pipes are another feather in the cap. Eagle eyed head lights and boomerang shaped fog lamps. 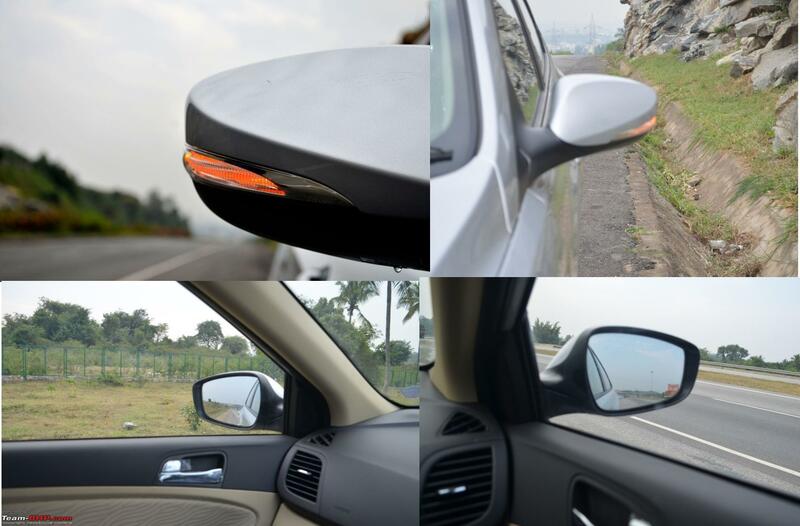 The mirrors fold in and out with a touch of a button and can be electrically adjusted from inside the car and are very useful because you don’t have to stretch your hand out to make adjustments for either of them. The key folds into a groove and has no sharp edges and easily slides into pockets. It comes with a luggage net to hold the things in place and can accommodate voluminous luggage bags. The trunk also houses the spare wheel and tools. There is also an emergency medical kit and Hazard triangle Reflector. It has two analog dials for RPM and speed. A center digital information console which displays the engine temperature, fuel level, Km/l, Average Speed, Distance to refuel, Trip distance, ODO and finally gear shift indicators when the economy mode is turned on. 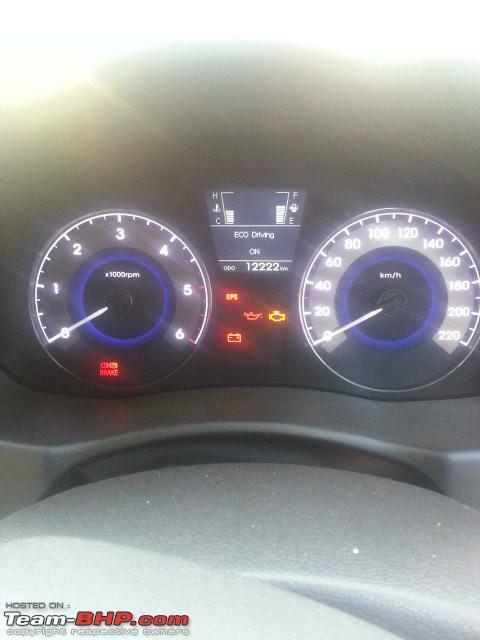 Below that is a panel that displays things like the low fuel indicator, low oil indicator, low battery indicator, Parking Brake indicator, ABS with EBD and EPS indicators, door ajar indicator and seat belt indicator. 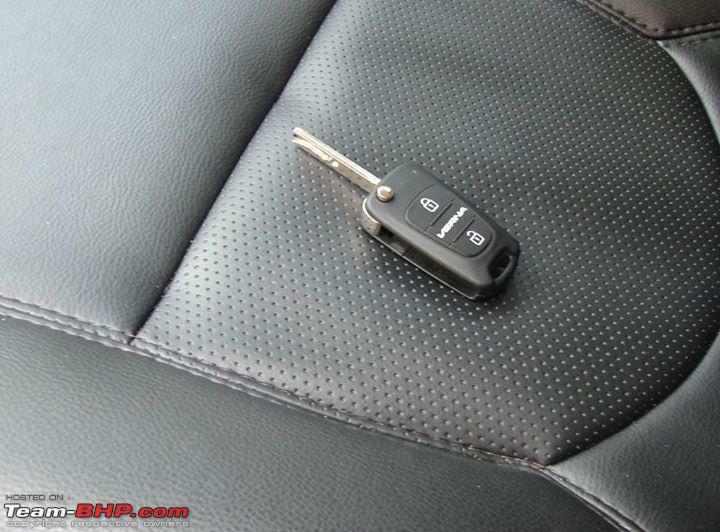 The car gives a series of warning beeps/chime when the front seat belts are not fastened and latched properly. 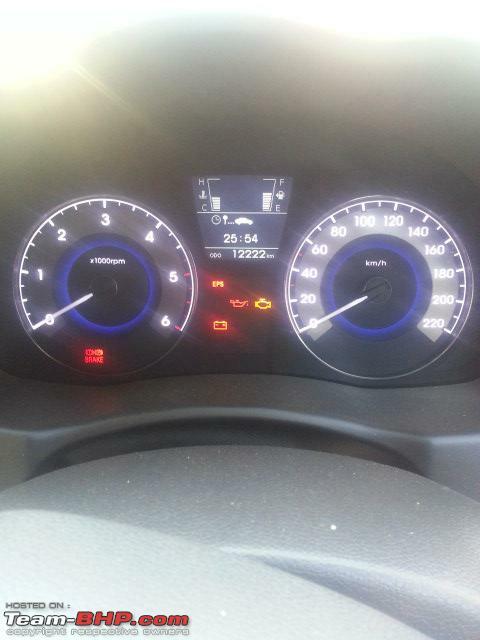 The car is extremely sensitive to how it’s treated and the mileage heavily depends on the driving style of an individual.Even though the company claims as 22 km/L on paper, I have never really got mileage above 18.5 honestly, may be because i never like to cruise it in 80's on smooth well maintained roads and on straight stretches. Initially i used to rev a lot and loved the adrenaline rush through me. The downside of this is it burns a big hole in the pocket. A smooth, even and linear acceleration will fetch an excellent mileage. 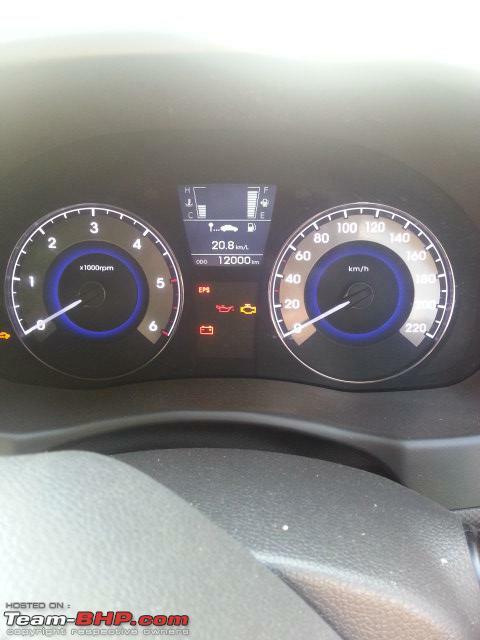 The usage of AC does not have much impact on the mileage. Below is my mileage report under various speeds and conditions. City Mileage very impressive for a car of this calibre. These are my actual figures on highways. I have also seen a slight drop in the mileage when driven with full load. So i can clearly say it manages to give a decent mileage of 14 in city and a maximum of 17 on highways. I use it for my office commutes and long drives. 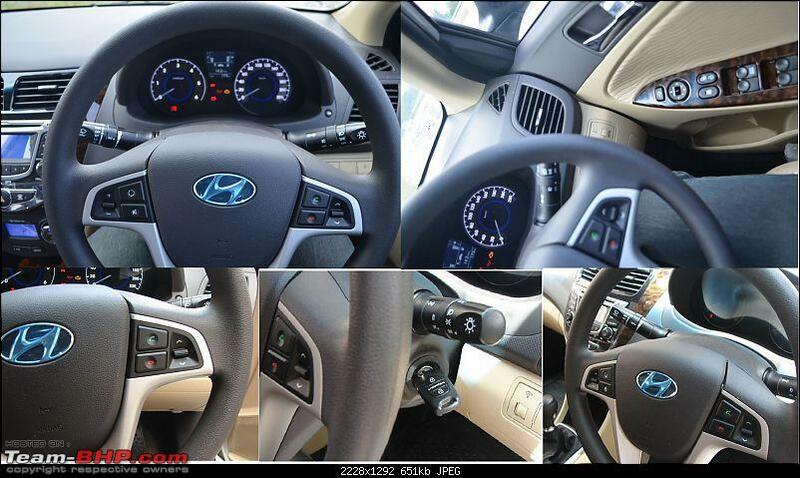 The car is very swift and gives a very good smooth, relaxed and comfortable ride in city. It is easy to zip through the city and I have never felt it underpowered during any of my sprints. It absorbs almost all light potholes but wobbles on bigger ones. The suspension setup of the car feels very apt for city driving conditions. The aerodynamically designed low profile of the car and the swooping roof, cuts through the air and streamlines the airflow and helps to build up more speed on highways effortlessly. The car doesn't lose its balance at high speeds as long as the roads are good. The highway experience too is excellent and I have received very good comments from my co-passengers. It feels like you are floating/gliding in the air. There is also a dead pedal which can be used to rest the left foot while cruising on highways. I don’t recommend anybody to try high speeds on Indian roads which are very unpredictable. The car bounces badly on uneven surfaces and has high tendency to spin out of control and prove fatal. Even though the ground clearance is 170mm, this one frequently bottoms out and scrapes the underbelly. A major turn off. The car with full load bottomed out several times on humps while driving back from Mysore late in the night. At that point I didn't realize that it had hit the silencer at the center and thought the metal protection plates must have hit. Unfortunately while i was coming back home from office the next day, heard a rattling sound at the back and also noticed a slight change in the engine noise levels. It suddenly started sounding like a modified race car. So i pulled the car over to the side and checked. To my dismay the silencer had broken and was hanging loose just from two rear fastening or supporting bolts. Fortunately the Advaith Hyundai service station was close enough and i drove very slowly and left the car there to get rid of this dangling silencer. I was lucky enough to get a full unit replacement under warranty, even without any labor and service charges. I learnt an unforgettable lesson to drive cautiously on humps. The bottom line is you have to drive this car very slowly on humps. The springs compress more when there is full load in the car feels very low on the ground. The suspensions do a good job for the city driving conditions but on highways play a spoil sport at high speeds. The car doesn’t feel planted on the ground and keeps bobbing up and down on un-even road surfaces. However my experience is not the same on well laid out roads. This is a relative negative aspect. Even though the front seat kind of hugs the driver there is no lumbar support. This becomes very evident when driving continuously for more than 150 Km in a single stretch without any breaks. They however can be adjusted individually. Leg room for rear passengers is not the best in its class. It feels cramped up for tall passengers at the rear. The rear seats have been angled nicely but lack thigh support. It doesn’t feel very roomy to stretch legs comfortably The car is very ideal for 4 passengers including the driver. It really gets suffocating and uncomfortable for the 5th passenger at the rear. The front edges of the bonnet is not clearly visible from inside the car. So have to be careful while driving too close to other vehicles in bumper to bumper city traffic. It would have been better if there were some sensors installed in the front bumper to alert the driver with a beep. Cameras would be even more appreciable for front bumpers and helps a lot during parking in congested areas. The rear head rests blocks the view in rear view mirror. An Electric sunroof of course for the top end model. A shark fin antenna for all variants. Lumbar support for at least driver and better thigh support for all seats. Distance sensor on front bumper. Improved ground clearance and stiff suspensions. Design and Styling (interior and exterior) 5/5 stars. Hyundai with its new thinking has brought a whole new set of possibilities to the world. The fresh fluidic design philosophy flows and trickles down to every aspect of the car and has carved an impressive niche in Indian market. For every car buyer in the C-Segment mid-size luxury sedan, the first car that flashes up in their mind today, when they decide to buy will be a Verna Fluidic. Whether or not they buy, they definitely cannot ignore it. They would consider it at least for comparison purposes. This definitely is an owners pride and neighbors envy product packaged with stuff that makes it the most desirable car among the lot. I am now a very big fan of Hyundai and in fact an un-official Brand Ambassador with a success signature. a well styled car with high fashion quotient that has set a benchmark for car design, safety and features ever since its arrival in the Indian market. Would recommend anybody to buy Verna Fluidic? If you are passionate about cars and don’t come from the complaining mind set then definitely yes. Blindly Go for it. Even if you have doubts, go by weighing the pros and cons.I am not saying that the car is fault free but the cons are relatively less and negligible and. 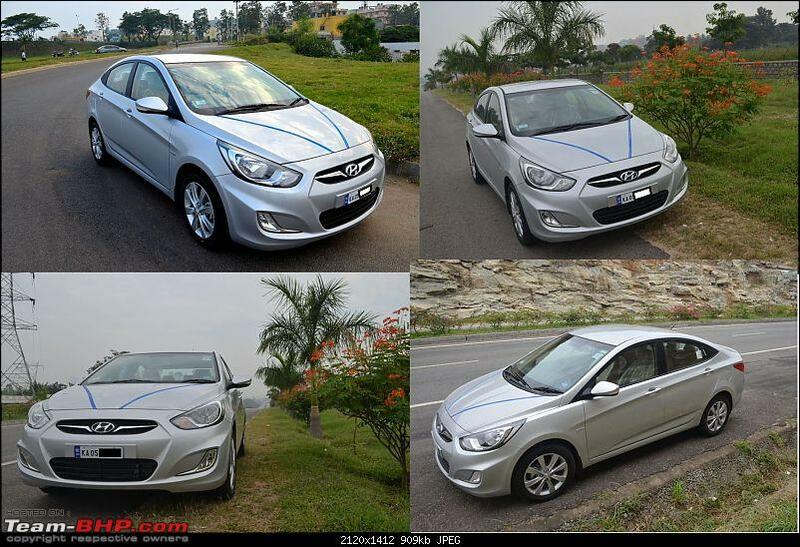 The problematic things are fixed in Verna 2014 edition and things are going to get better henceforth.Believe me, down the line when you turn back and look at this beauty, you will definitely not regret. Welcome to Team-BHP, starting off straight with an ownership review eh? Verna has always been a good package for what its worth, plenty of kit and engine power, what they must do next is better suspension/shocks and steering to compliment the torque and sheer horsepower the engine puts out. The new Verna greatly improves the headlamps which seemed to age in the older version. 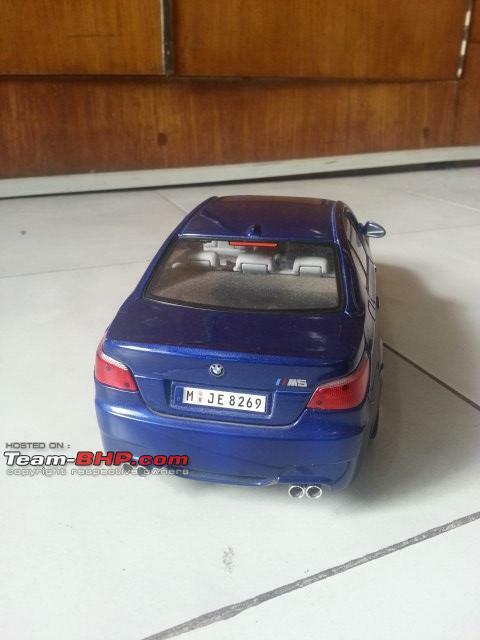 The dual projector lamps seem inspired by BMW while the rear lamps look a dead ringer of the old Mercs. I don't quite see the resemblance to the M5 though, as M5 has a straight cut line starting from the tail lamps that cut thru the door handles and fade away as the front door ends, another crease the Verna has below the door which was meant for side skirts is not present in the BMW which has a more rounded hefty Germanic look. 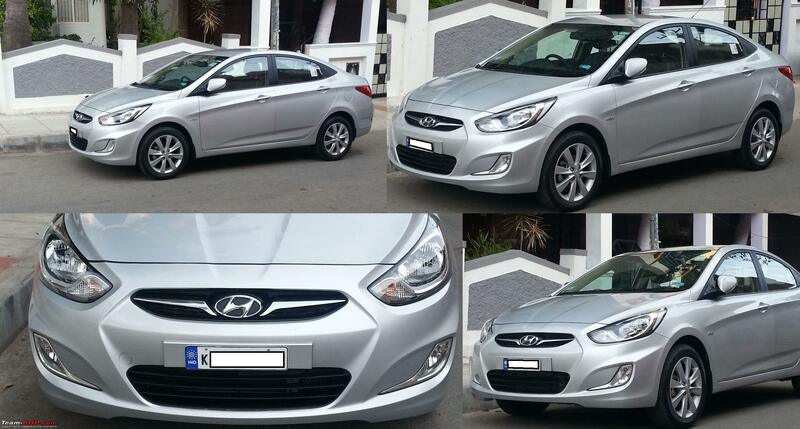 What needs to be done to Verna now is improving handling and feedback. How I wish hydraulic steering was still popular. Good photo compilations, enjoy the car. Last edited by dark.knight : 13th March 2014 at 12:36. Just one thing i noticed. 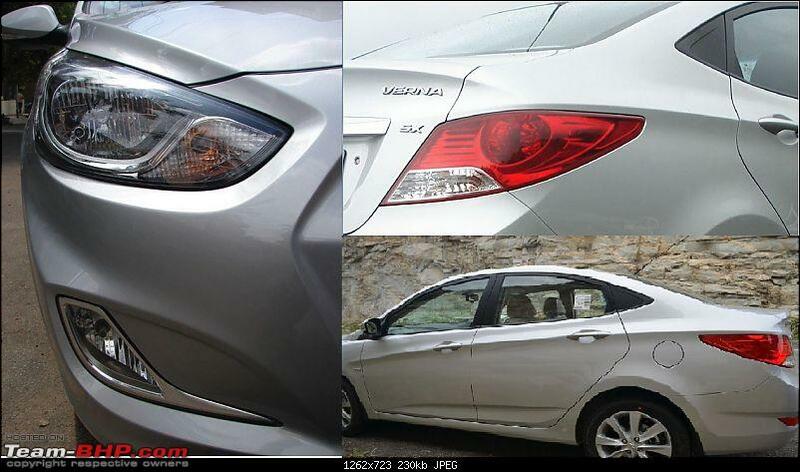 The pics you put up for 2014 Verna, are actually aftemarket headlamps and tail lamps. The Projector headlamps coming on SX(O) variant have LED lights but they are not DRL, they work like parking lights, same like XUV500. This is my reply to dark.knight. 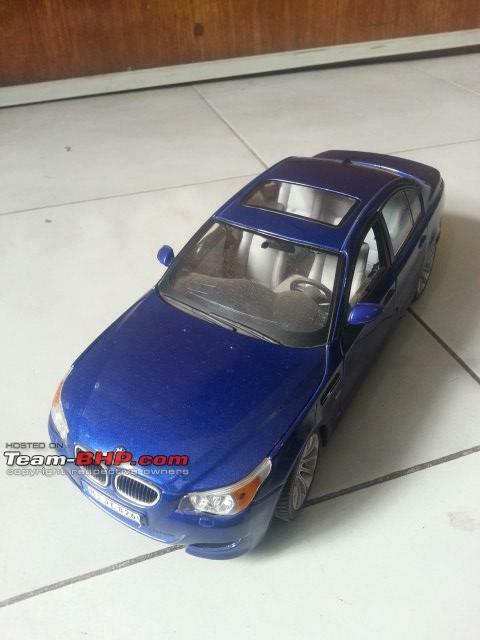 I agree with what you say.I made that point after seeing this model car. 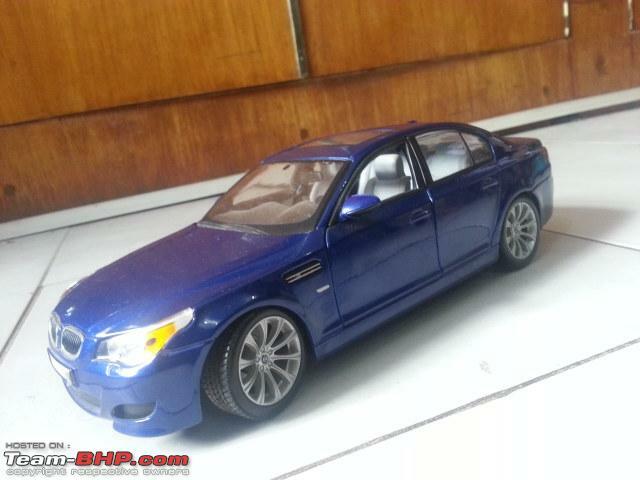 Below are the pics of scaled down version of BMW M5. 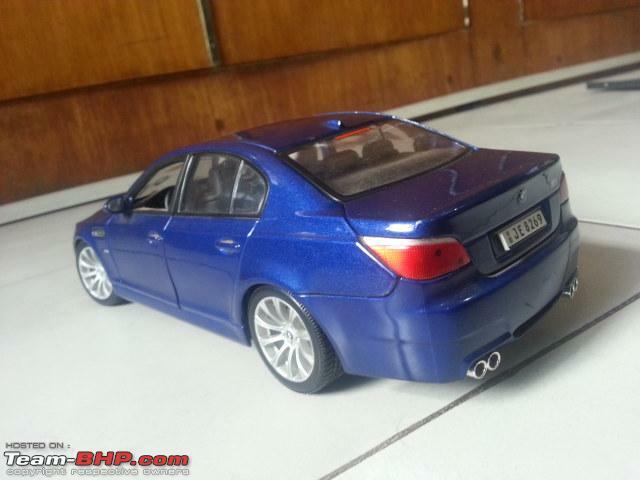 Just have a look at the rear profile,tail lights and dual exhausts. Don't they look similar ? Even the styling of front head lights look similar from top view. Congratulations Amyth and welcome to team-bhp. 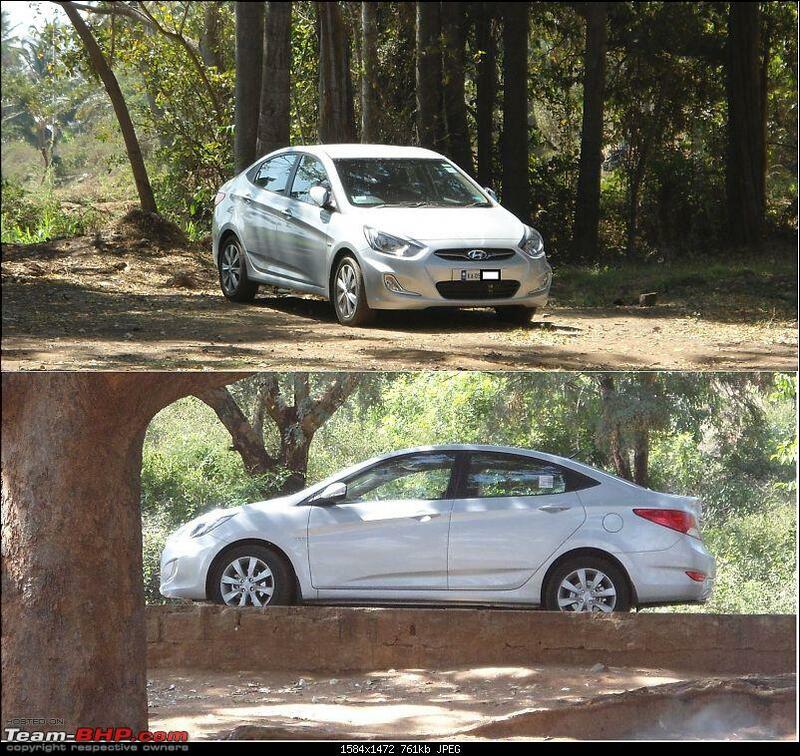 Well written review.The Hyundai Verna is a wonderful car and i feel it is the best diesel C2 segment car. Only issue i faced was with the IRVM. Because of the rear center headrest, there is not a lot of visibility behind the car. Congratulations for your new purchase Amyth , wishing you many happy miles with this new car.Verna was on top my purchasing list too but then City launched and changed everything , mine is due by the end of this month. Verna has always been a good package for what its worth, plenty of kit and engine power, what they must do next is better suspension/shocks and steering to compliment the torque and sheer horsepower the engine puts out. 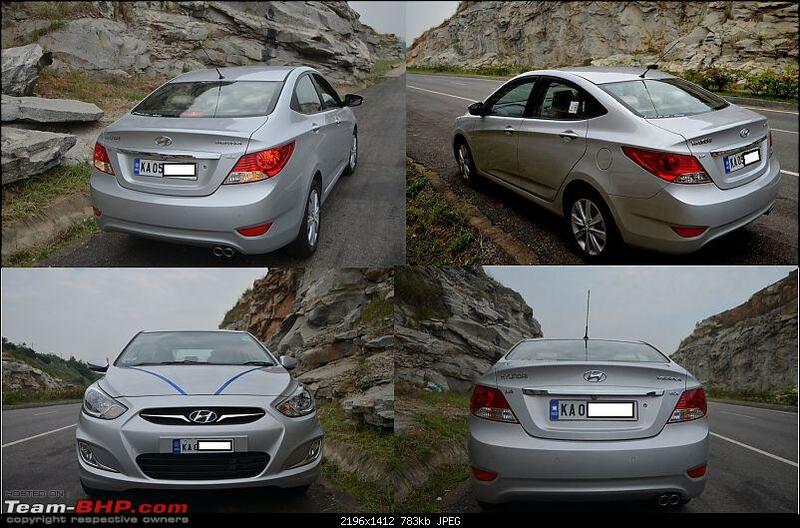 Actually , they already have , 2014 Verna's suspension is a substantial improvement over its predecessor. I got to test drive the car on NH-8 and the car handled and behaved well on pretty decent speeds , having driven both of them i can safely say that its high speed nervousness has surely been taken care of. The steering weighs up better too but the Ride/handling package is still nowhere as dynamically accomplished as the Vento/Rapid or even the City but can be lived with. To me, it looked like it had come straight out of the gym after a power packed workout, boasting off the 6 pack abs and flaunting its prominent cuts and creases all over the body ready to walk down the ramp. Watch out Honda, Verna is a "Game Changer”. Don Ko Pakadna Mushkil Hi Nahi, Namumkin Hai!! What i mean to say is, Fluidic Verna is analogous to DON (SHAH RUKH KHAN).2014 Verna is DON 2. Awesome review with some great punch dialogues I liked the two above the best. I still think its the best in segment NVH. It has two analog dials for RPM and speed. A center digital information console which displays the engine temperature, fuel level, Km/l, Average Speed, Distance to refuel, Trip distance, ODO and finally gear shift indicators when the economy mode is turned on. I guess it misses the Average Fuel Consumption Display and only shows Instantaneous Mileage. This one I believe is addressed to some extent in the 2014 Facelift. This point made me drop the Verna and head to the new i-DTEC City. Check if the dealer can replace the front coil springs under warranty. You could add Cruise Control to the list. Once again, Great review covering minute details. Mine was the same story, started with Verna on top of my list and finally went in for the New Honda City. Last edited by vsrivatsa : 13th March 2014 at 15:52. First of all many congratulations to you on your new purchase. 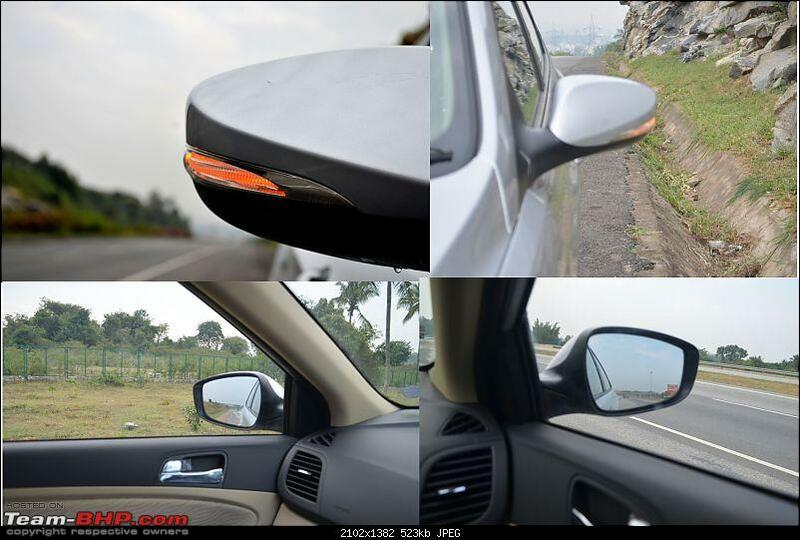 I read your post and loved the pics showing the tail lights and side profile of your new diesel Honda City. The re-designed car looks very fresh and upmarket and the tail lights especially have given the unique look the Honda was desperately looking for in its predecessors.Enjoy the new Rock-Star !! Yes you are right. The Verna does not display the Actual Mileage. 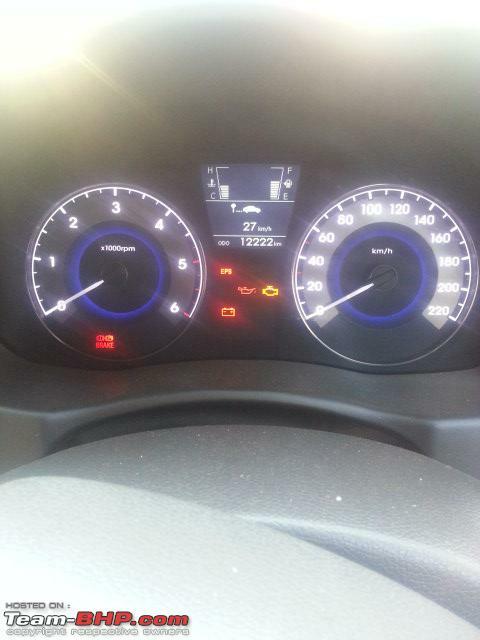 actual mileage is less by 2-3 kilometres than what it shows there in the display console. I will consult the SA and check if anything can be done to harden the suspension set-up. And thanks for adding to my feature wish list for Hyundai Verna Fluidic. The car feels more complete with these additions. yeah this was my first post. Have to get used to the nuts and bolts of this community.thanks a ton for that. In fact I was looking for how to include names in my reply so that it gets addressed to the appropriate member. I will soon pick these things up. A very well written review and clearly depicts your love for this car. 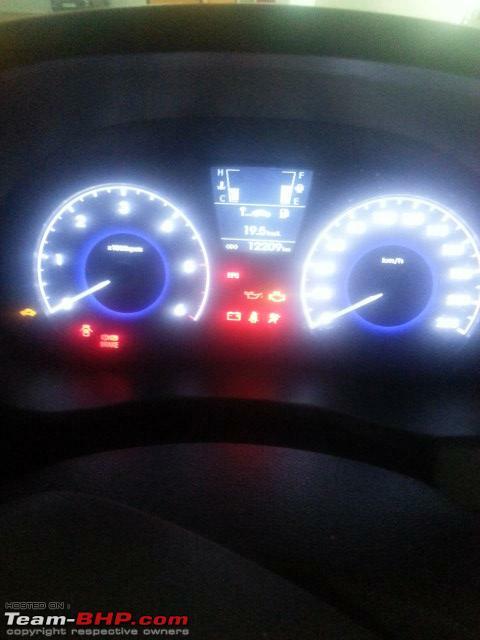 Though i have bought the city diesel, Verna still remains my preferred choice for a rocket drive. Also, it has the most good looking alloy wheels in the segment. Wish you a Happy mile crunching time ahead. Congratulations on the buy! And way to go posting an ownership report first thing after your membership approval Well written. 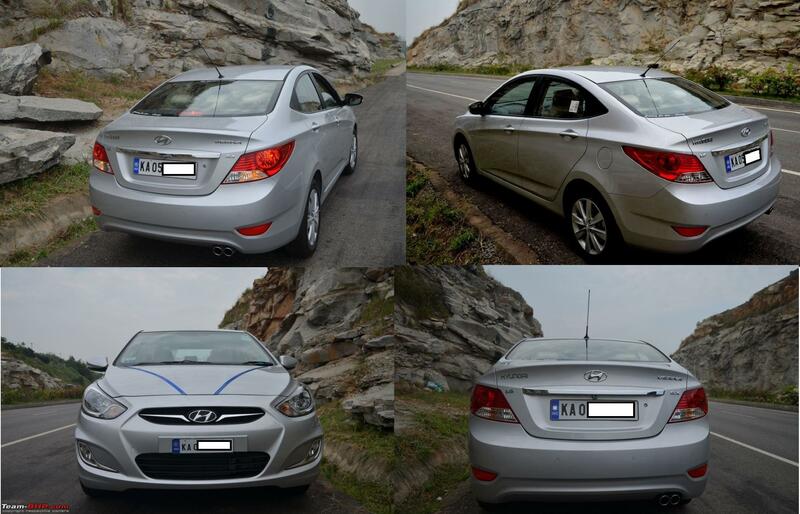 The Verna really does pack a lot and did turn things around for Hyundai. The Fluidic styling certainly sent riplles across the waters of the C segment and while I feel (end evidently so does Hyundai from their most recent announcements) it ought be toned down a little, there is no doubt that it is fresh and doesn't look bad in any angle. You are bang on about this car now making it into most garages and definitely into people's minds for consideration. Calling it an outright enthusiast's ride might be a little far-fetched due to its dynamic capabilities but while I cannot comment on its reliability, from what I've driven, this is one of the very few diesel mills that I didn't mind too much being a puritan and true petrol head, the smoothness of this motor did shock me a little. The re-designed car looks very fresh and upmarket and the tail lights especially have given the unique look the Honda was desperately looking for in its predecessors. Unfortunately, since Honda has already launched their City, not many will realize that the tail lamps were a direct copy paste job from the YL1/Ciaz sedan that MS has been testing derived from the Authentics concept. 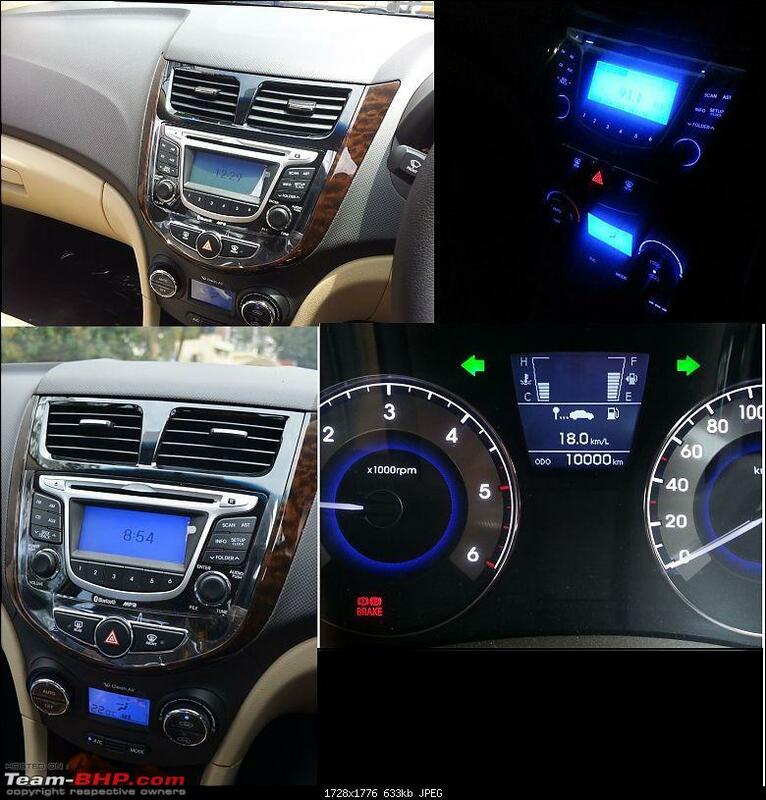 Both Ciaz and New city seems to be inspired from BMW. Its MS bad luck City got launched earlier and will gather the initial praise. Well, the majority will in any case doesn't care which car they are inspired from till they look good. I have solved this problem by changing my tyres to Continental CPC2 205/55/16 tyres. The increased height and harder tyres has made the ride much stiffer and better. Crossing road humps are a breeze now. I had very bad experience with the stock Bridgestone, which are very soft tyres and 3 out 5 tyres developed sidewall damage. Please note that my car is a 2011 model and the springs were replaced with stiffer ones under warranty. Only issue i faced was with the IRVM. Because of the rear center headrest, there is not a lot of visibility behind the car. You could always remove the rear center headrest if the same is bothering you. However, I have noticed that in the monsoon the rear windscreen fogs very easily. Maybe this is because of the angle of the glass. Hence you need to use the defogger regularly in the monsoon. 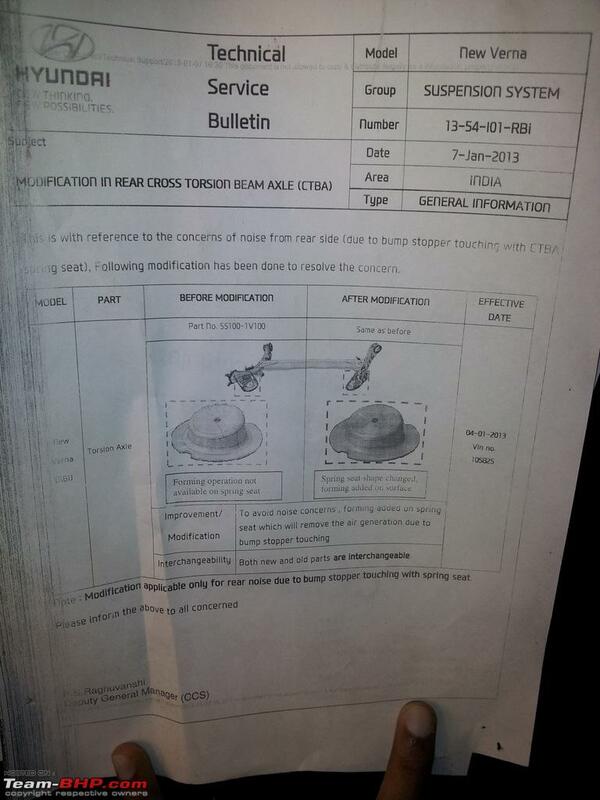 I saw TSB ( Technical Service Bulletin ) released by Hyundai for solving suspension problems in one of the posts. Below is the link of the same. go and check at the Hyundai Authorised Service centre for suspension replacement? was there any dip in the mileage after your tire upgrade ? Has anybody got it done ? Do they replace all the four springs or just tweak the existing ones ? 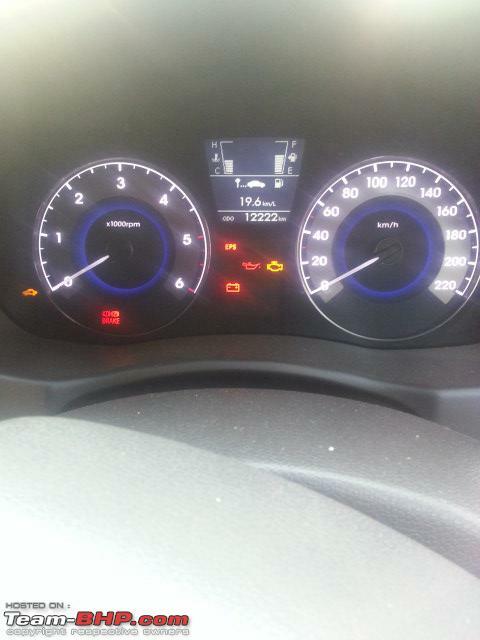 My car has completed 14,000 kilometres and is still running under warranty period. 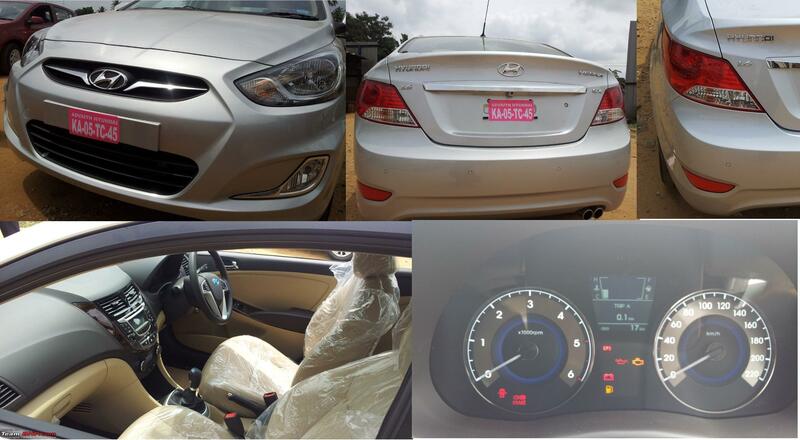 I am not very keen on messing up and meddling with the default factory settings and original genuine Hyundai parts. I am not sure of how these things are going to affect the driving dynamics and mileage.I did rather live with it than sit and cry later. almost stationary while going over them. Anyway,I am planning to visit the Advaith Hyundai Service station this weekend. The Informative drivers console displays a Welcome Message with a Hyundai logo on start and changes over to display the below information shown in pics which can be toggled. I guess i missed to add these things in my review. Average km/L Note: This is not the actual mileage. All times are GMT +5.5. The time now is 11:57.